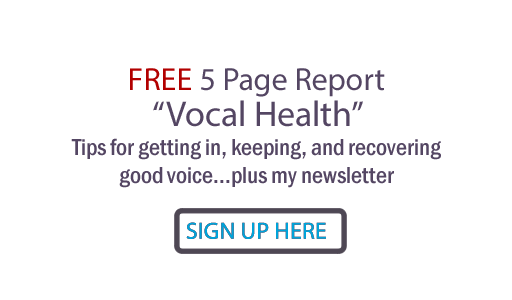 Judy Rodman - All Things Vocal Blog: Improving Vocal Ability: How Long Does It Take To Get Results? Improving Vocal Ability: How Long Does It Take To Get Results? How many lessons you must take before your voice improves? You should notice definite improvement after ONE vocal lesson with an intuitive, skilled voice teacher. Then, if you're serious about vocal training, I recommend committing to two or three months of work with a vocal coach and then reassessing where you are. But your improvement should be both noticeable and growing after every lesson you take. How long should your practice sessions be? The first way is to improve your vocal technique... meaning the WAY you use your voice, the way you apply breath, the openness you keep in your throat, the degree to which you effectively communicate. (I call this training Power, Path & Performance.) This helps you gain access to the latent vocal ability you already have. And this is where HOW you practice is matters. If done properly, vocal exercises can help you create and correct vocal habits you need. But just like in any athletic endeavor, form is everything. Even if you could only fit in 10 minutes of daily practice with correct form, you could make constant, significant vocal gains. Just don't practice wrong! The second way is to improve your vocal stamina... meaning to increase the strength, muscle tone and tissue structure... and coordination of the working parts of the vocal apparatus. This is where HOW LONG you practice (practicing correct form at all times, of course) matters. I would suggest singing at least as long as the length of the next performance you will be giving. If you have no particular performance coming up, it would be great if-- after warming up-- you committed to singing at least 30 minutes to two hours every day or every other day, for steady gains in your vocal stamina. Don't just practice exercises, sing your songs FULL VOICE, with communicative body language. Schedule your practice for when you have energy. The main thing here is that you don't want to practice singing with incorrect form, which happens when you get mentally and/or physically tired. Bottom line... to improve your vocal ability, practice smart-- not hard.